This universal replacement mirror lets you swap out your old, factory-installed rearview mirror for a sophisticated piece of equipment. Disguised as a typical mirror, it’s actually equipped with a convenient 3.5” LCD monitor with dual inputs. 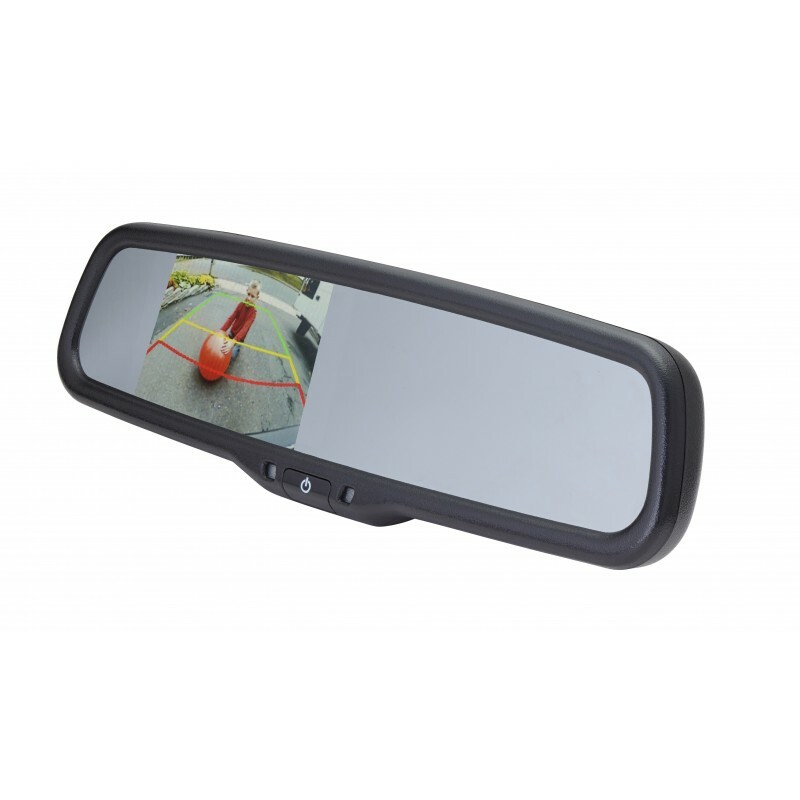 Compatible with any of EchoMaster’s front, side, and rearview cameras, the PMM-35-DPL makes it simple to navigate even challenging driving, reversing, and parking situations with ease. The built-in parking guidelines show you exactly where your car is headed, as soon as you put it into reverse. This helps you avoid accidental collisions in tight spaces and tricky situations, greatly reducing your risk of damaging your vehicle. The rear camera video feed and parking lines engage automatically, but for extra manual control, a remote is included with the device.